Who says fireworks and flag tees are the only ways to show off your pride on the Fourth of July? This year, take your American spirit to the forefront with patriotic strands. 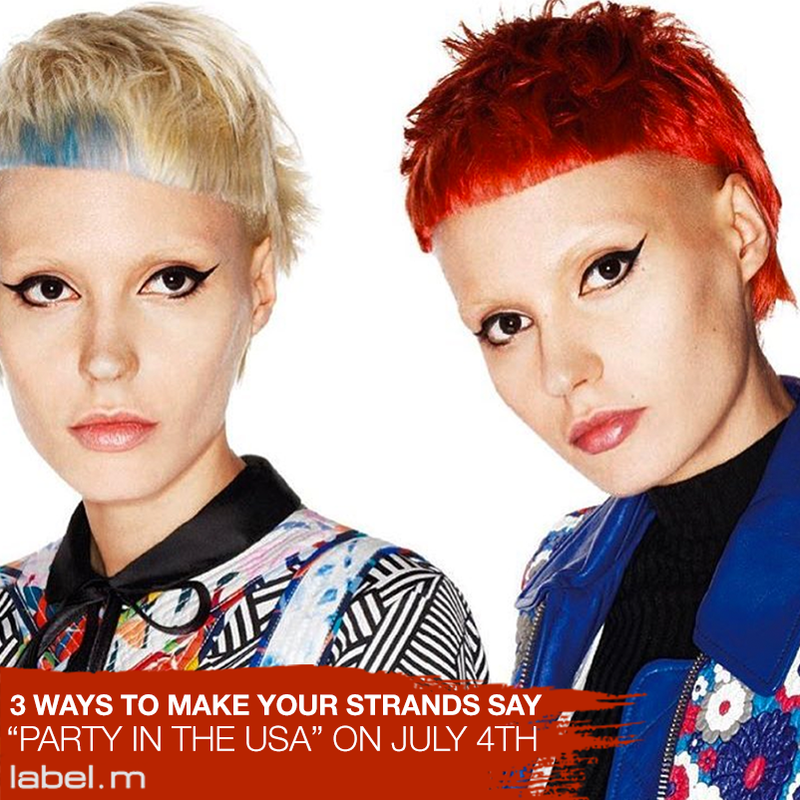 Read on to find out three ways to make your tresses pay homage to the red, white and blue. Wrap it. Nothing shows off your spirit (and disguises greasy roots) better than a festive headscarf. Any red, blue or white bandana will do the trick, or, step up your game with a star-spangled headscarf created by esteemed designer Mary Katrantzou. Simply the wrap the eye-catching kerchief around a messy bun, pull out a few face-framing pieces and you’ll be the highlight of any BBQ or pool party. Add shimmer. Fireworks don’t have to be the only sparklers you see on the Fourth of July. 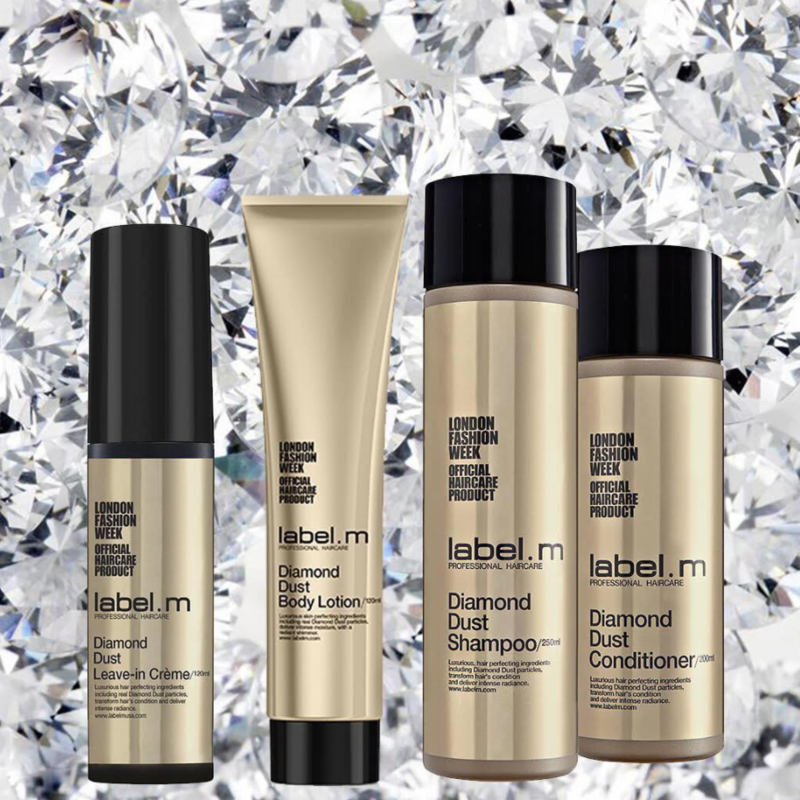 The label.m Diamond Dust line is an easy way to inject a little extra luster and shine into your locks. 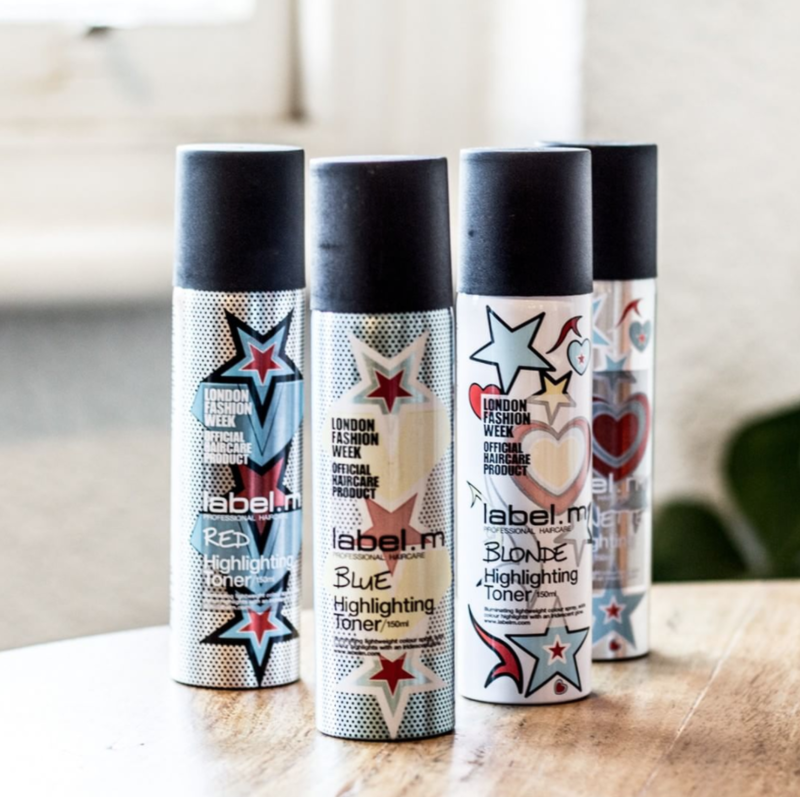 Simply wash strands with the Diamond Dust Shampoo and Conditioner, then apply the Diamond Dust Leave-in Creme before styling. Finish off the look by applying the Diamond Dust Luxurious Body Lotion to legs and arms and you’ll be gleaming all night long. Color up. Red, white and blue tresses for the national holiday? Yes, please! As much as your love for the U.S. is everlasting, there’s no need to commit to those colors for too long. Luckily, label.m Highlighting Toners are an easy, commitment-free way to play around with color. Spray the red and blue toners at the roots and ends, then use the Blonde shade to add shimmery highlights and give your tresses a tri-colored look. 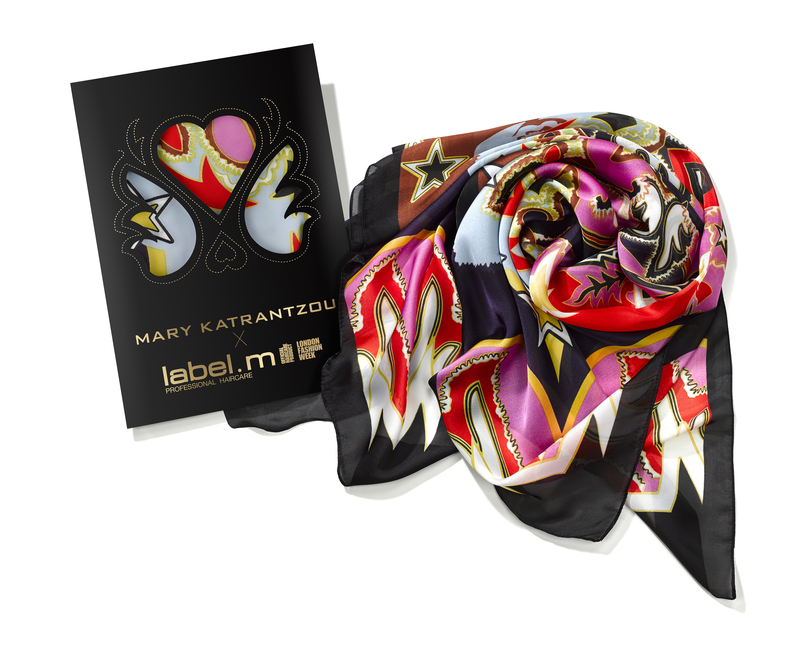 For even more fashion foward styles, check out label.m, the official sponsor of London Fashion Week. Want more tips and tricks? See all their latest inspiration on Instagram @labelmusa! & SHOP label.m, NOW in the Bangstyle store!